I hope you enjoyed Becky's layout from yesterday! 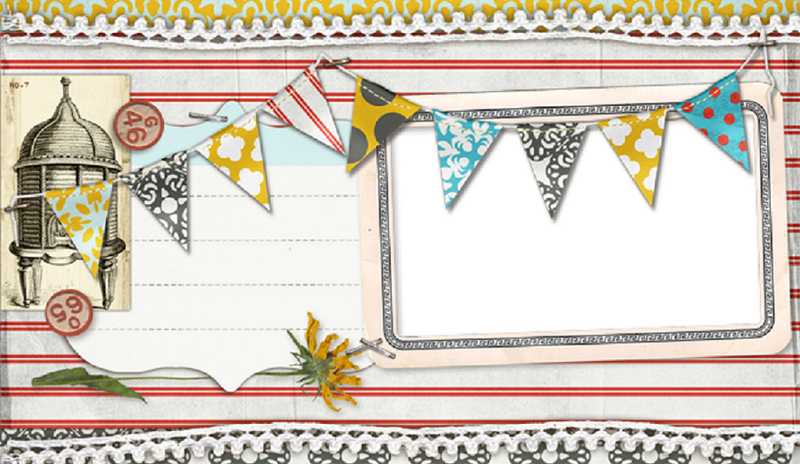 Today we'll be reaching out to our card makers and sharing a card from Debbie! Let's take a look! The base of this card is triple mounted in the brown/blue side of "Reminisce", solid blue, and the orange/blue side of "Grow". 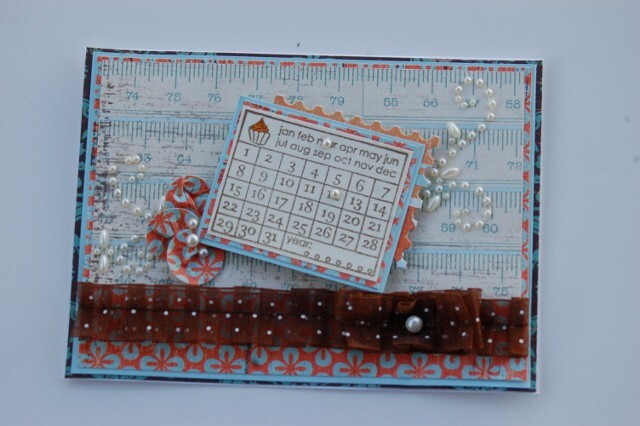 A fourth piece of the "Grow" ruler is the top layer and was cut smaller to allow room for the brown pleated ribbon at the bottom of the card. I folded a second piece of the ribbon and secured it with a small brad to form the bow. I covered the brad with a pearl. The calendar was stamped in brown ink on cream cardstock and double-matted. 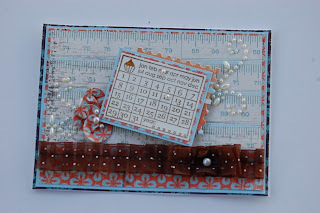 I used one of the scalloped pieces from the Excerpts punch-outs to frame the upper corner of the calendar and pearl flourishes and folded paper petals to embellish the front of the card. 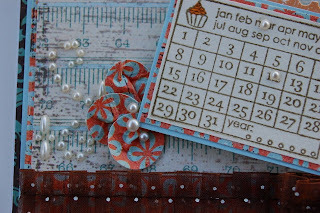 I used two tiny pearls to highlight the month and date of the recipient's birthday. This would be a great card to make in advance - just personalize the date before sending. I LOVE the calendar idea on this card, it would be great to make a bunch of these in different paper/themes to get you through the year prepared! We'll see you back here tomorrow with a layout from Michelle!